Those who have suffered traumatic injury to the upper spine and head resulting in whiplash injuries can receive professional help from Dr. Ricardo Lalama, a Paterson chiropractor. Numerous studies conducted during the last few decades have proven the methods used by chiropractors definitely help with this painful and debilitating injury. Let’s take a more in-depth look at what help these skilled doctors can provide, and how those who are suffering from whiplash will be treated to eliminate the injury. The theory of whiplash injuries can be traced back to Sir Isaac Newton and his ground breaking book Principia Mathematic. In this book Sir Isaac explains the three principals of motion with inertia being the one we credit with traumatic whiplash injuries. Basically what Sir Isaac Newton deduced was any object at rest tends to stay at rest, while an object in motion stays in motion. This is the basis for what causes traumatic injury to the head and neck when sudden opposing forces are applied. A good example of this theory in action is driving a car and being hit violently from behind while the vehicle with the soon to be whiplash injured individual is stopped or moving slowly and is then hit from behind by another vehicle moving at a much faster speed. The result is a sudden acceleration of the head and neck being violently whipped in a backward movement and then forward. Of course we have many other causes of whiplash injuries happening in sports and other circumstances. The human head, when moved suddenly in an unexpected forward motion, works against the neck and upper spine creating the forces needed to cause this injury. The trunk of the body has more mass and thus is going to force the head to follow any sudden movement. The catch here is the human head weighs far less than the trunk of your body and there is going to be a delayed motion as the head whips backward or forward depending on the circumstances of the sudden forces applied. This is what results in the classic whiplash effect and resulting injury. Whiplash injuries can be fatal as we witnessed several years ago during a NASCAR race. This example points out the traumatic whiplash injury to head and neck does not have to come from being hit from behind. Popular NASCAR driver Dale Earnhardt lost control of his car and hit the track retaining wall with the front end of his race car. The result was his head whipping forward violently and breaking his neck. His death could have been prevented with a proper head support system. This has now become standard for race cars in many different racing venues with the development and implementation of the Hanns Device which restrains the head from any violent movement during sudden deceleration or acceleration of the vehicle. To date this innovation has saved countless lives on racetracks around the world, and while not practical for the typical passenger vehicle we drive daily on public roads, we still can reduce the possibilities of whiplash injuries by using the existing safety belts in passenger vehicles. A typical vehicle is always under the principle Sir Isaac Newton laid out concerning inertia. You may not have considered the fact YOU as well as your vehicle are moving at a certain velocity through space. If the car is moving at speeds of fifty miles per hour so are you and any occupants, ANY sudden deceleration of the car, such as would happen in a head on collision, brings the vehicles AND the human body to a sudden and violent stop. It is unfortunate that many people still insist on not using the restraining systems designed into their car. Seat belts and airbags will go a long way in preventing serious whiplash injuries and should always be used. Those who are short in stature and children are most likely to be negatively affected by airbags deploying in the event of a sudden deceleration so extra precautions need to be taken for these individuals. They should only ride in the back seats and always wear the seatbelts provided with a snug fit. The healing process for whiplash injuries takes several weeks to many months depending on the severity of the injury. During the initial phase of this injury it is vital for the patient to stay immobilized for several days. As the swelling begins to recede, treatments can start, and your chiropractor will determine when, what initial steps need to be taken, and depending on how well you respond to treatments the pace of the healing process. He or she will normally work in conjunction with a doctor who specializes in this area of medicine so you are receiving the best care possible. 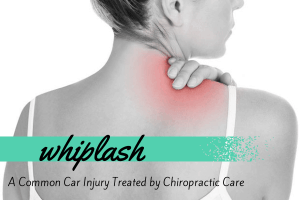 Whiplash injuries can be life changing events, and if not handled by skilled chiropractors and doctors you will suffer for many years. Seek immediate help if you are the victim of this debilitating injury for treatments and a full recover. Has this information been helpful? Please leave comments below.